I'm in love with these new goodies I recently got! 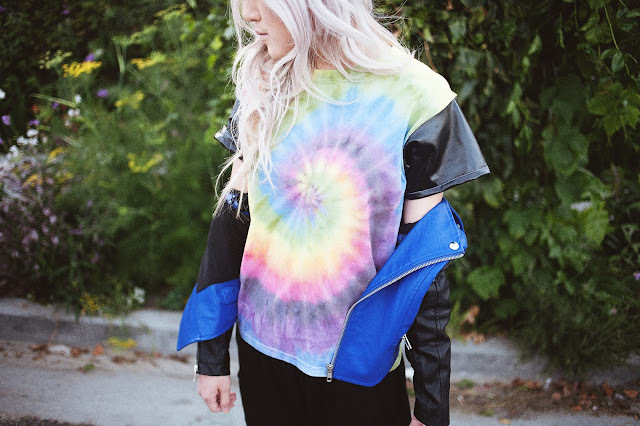 I'm wearing a sick tie dye tee from Good Goat Garments. 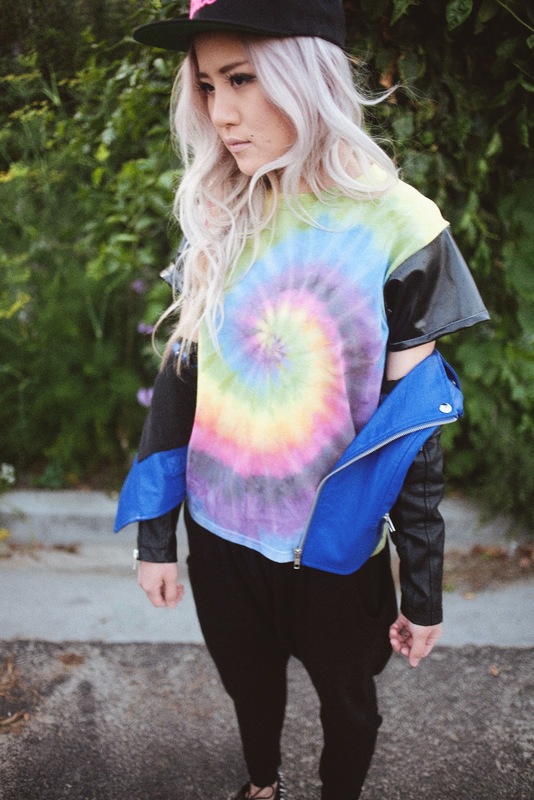 It's not your regular tie dye tee--it has black vinyl sleeves! Those really sold me. It's not like any other tie dye tee I've seen out there and the vinyl offsets the crazy colors perfectly! 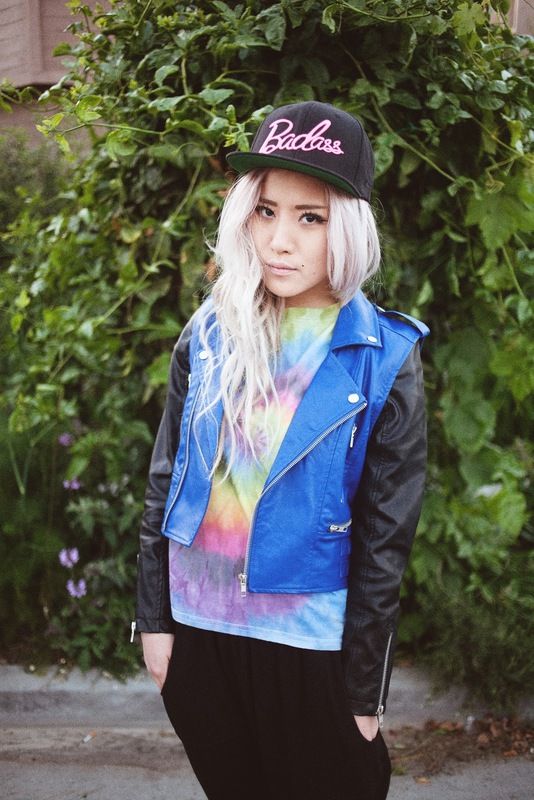 I'm also wearing this amazinggg blue and black leather jacket from Lovers + Friends. I was bored at work and inspecting the stitching of this jacket the other day and I have to say I was really surprised and happy that the craftsmanship on it was PERFECT. The easiest way to tell if an article of clothing is of quality is to take note of the materials used and the stitch work. This moto passed both tests with flying colors. 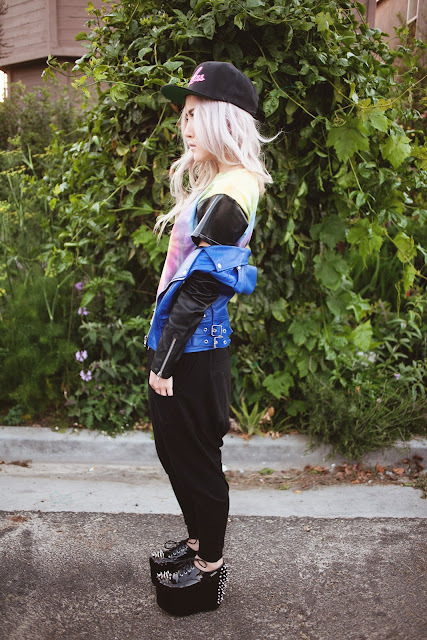 For those of you who follow me on Instagram/know me in real life, you probably know I've been wearing these pants from Origin LA a lot. And I mean, A LOT. 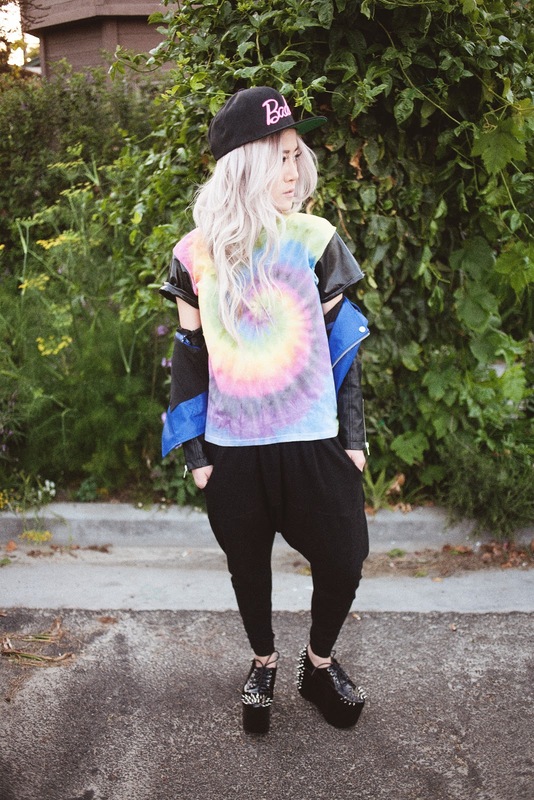 I love that harem and drop-crotch pants are back in full-force (and hopefully here to stay) because it's basically like wearing super stylish pajamas every day. I love these because they're well-made and have a hidden adjustable waistband and they go with EVERYYYTHINGGG. Which is why I've been wearing them every day. They're going to put my other pants out of business. I topped off this look with this badass "Badass" snapback. 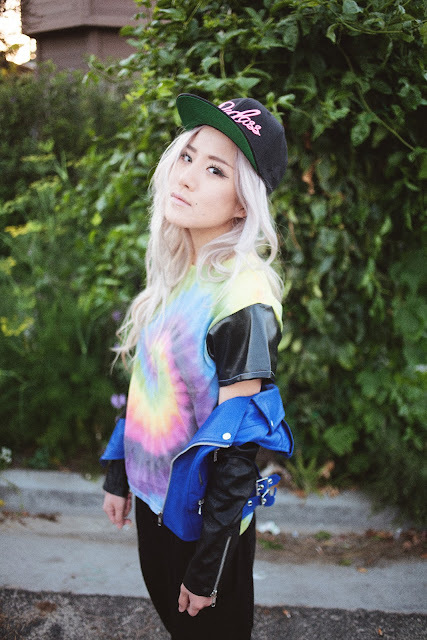 I think snapbacks are the new beanies, and good thing, too. Those beanies were getting really hot with the ever-rising temperatures. 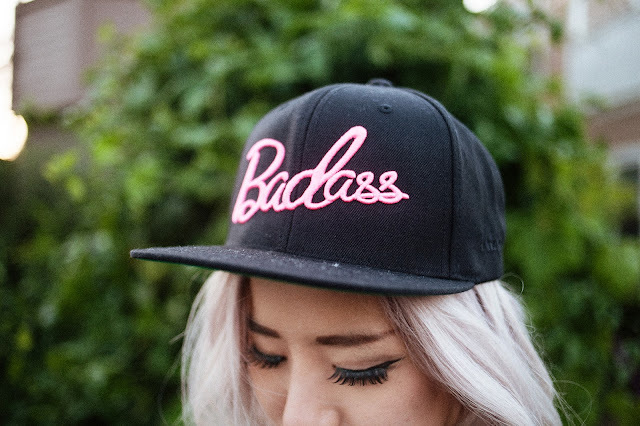 This snapback has "Badass" written in Barbie-like font, and it's even pink too ah! Perfect amount of edge and femininity. And it's on SALE! Get on that before it's gone! Your hate is the epitome of awesome. Great post . Thanks for share it with us. You looking cool . write ups over the weekend primarily. 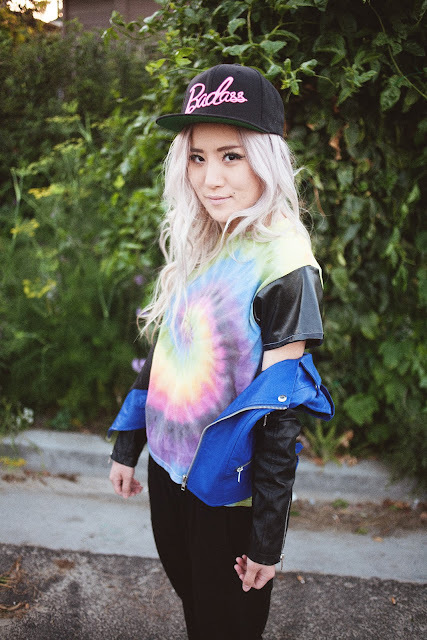 buy facebook follow Avoid longing to become widely known these days. Buy Facebook Followers as a strategy to increase popularity and acceptance on the internet in a short duration. 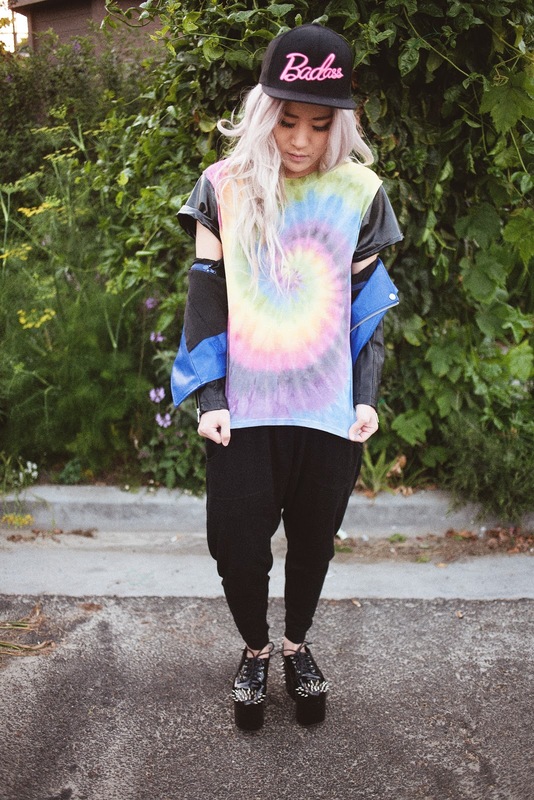 I do not really like this style of clothes. I prefer classical style with dresses and skirts. Your style is so unique compared to other folks I have read stuff from. I appreciate you for posting when you've got the opportunity, Guess I will just book mark this blog. nice to read this post. thank for sharing it.